Technology is impacting our lives in many ways. Even treasure hunt games and Easter egg hunts are going high-tech. 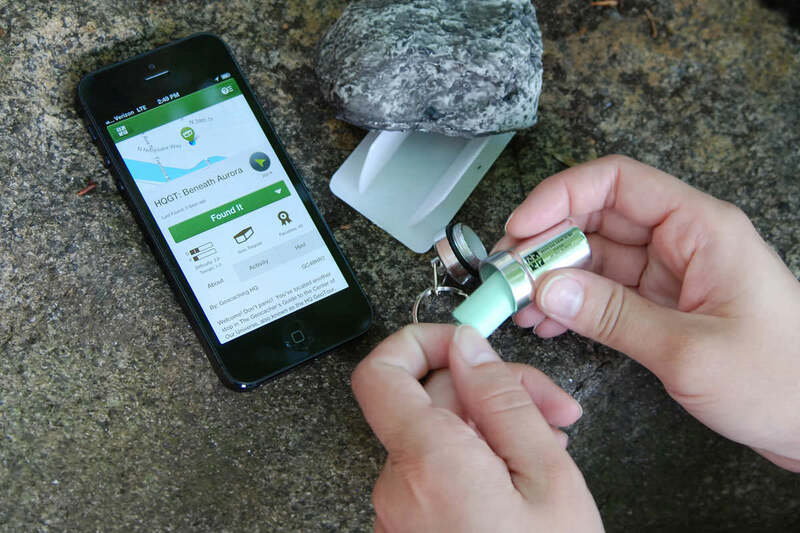 Geocaching is a high-tech treasure hunt game that combines cleverly hidden containers with a little help from technology. Basically, participants start by visiting the official global GPS cache hunt site, Geocaching. Players, called geocachers, search the website for exisiting treasures or add new treasure hunts. Players use Global Positioning Systems (GPS) enabled mobile phones or devices to navigate to the treasure location by using coordinates and clues revealed on the Internet. The cleverly hidden containers, also known as caches, can be filled with tiny trinkets, treasures or GPS coordinates to other locations and can be located anywhere in the world. There are currently more than 1 million active geocaches around the world today. Visit the Geocaching website , the official global GPS cache hunt site, and register for a free membership. Premium memberships are also available. Click the “Hide and See a Cache” link. Select a cache from the listing. Users must be logged in to see exact details of the cache. Once a particular cache is selected, print the information found online. Some players create logbooks with the printed cache information and bring it on the hunt. Enter the cache coordinates into the GPS and you are on your way! Be sure to bring a pencil or pen, waterproof containers and gloves to protect your hands. Players pinpoint the location with the help of GPS technology. While the GPS guides the geocachers to a location, the GPS coordinates do not pinpoint the exact location of the cache. Hunting and detective skills are often needed to find the hidden stash. Caches can be hidden above or below ground, inside or outside of buildings, in trees or under rocks. Caches often contain a logbook or logsheet with information and notes from the owner as well as visitors who have located the find. Some containers include trackable coins called Geocoins or Groundspeak Travel Bugs, tags with unique codes that travel from cache to cache. Weapons, drugs, alcohol and food should not be placed in the cache. Once the hidden cache is located, sign the logbook located inside the cache and snap a few photographs. When a trinket or treasure from the cache is removed, players must leave something of equal or greater value and return the cache to its hidden location for the next player. Share your scavenger hunt experience and photos with other players on the Internet. Many people around the country are participating in a Easter egg hunt with a modern-day, high-tech twist. Traditional hide-and-seek Easter egg hunts are being combined with geocaching. Youngsters search for chocolate bunnies and colorful jelly beans while adults search for new caches. Hunters typically receive a set of coordinates at the beginning of the event. Participants search for the eggs which usually hold the coordinates for the next location. For many people, finding a hidden treasure is the ultimate goal of a scavenger hunt. But for others, the ultimate thrill of the game is the hunt itself. Anyone can participate in this family-friendly activity. Whether a player is young, old or somewhere in between, geocaching is a fun way to enjoy the outdoors, explore nature and have fun. If you are looking for some tips on GPS devices, please read Top Portable GPS Models for further information.